Completion of the park is set for spring 2019, according to signs posted at the site. 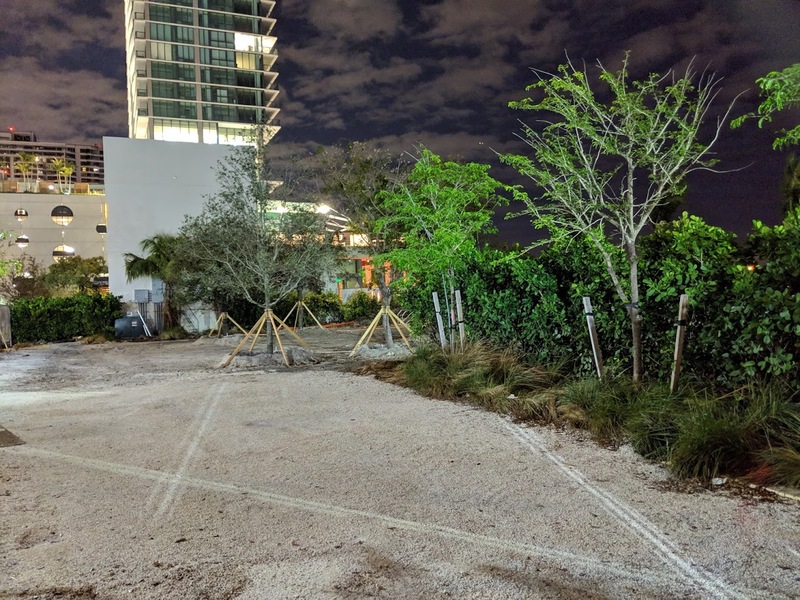 The City needs to step up and finalize plans to build the connected bay walk down to Bayfront Park! 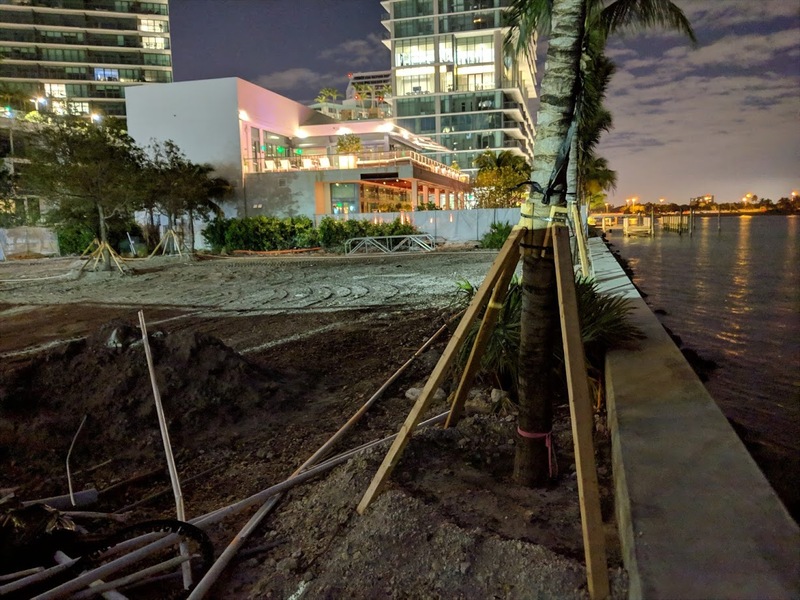 The added benefits of a connected waterfront walkway to the quality of life for current and future residents is obvious so make it happen people!! 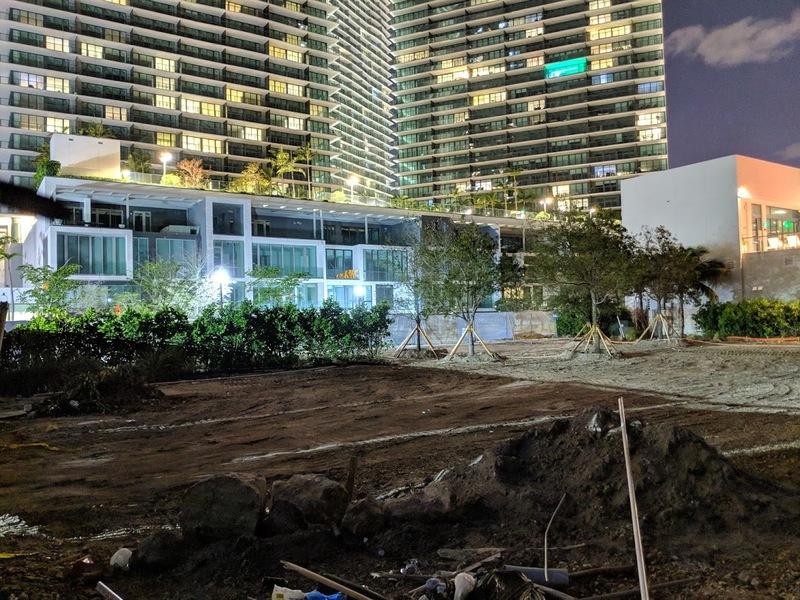 Bring back Ultra to Bayfront and use revenues to fund this. 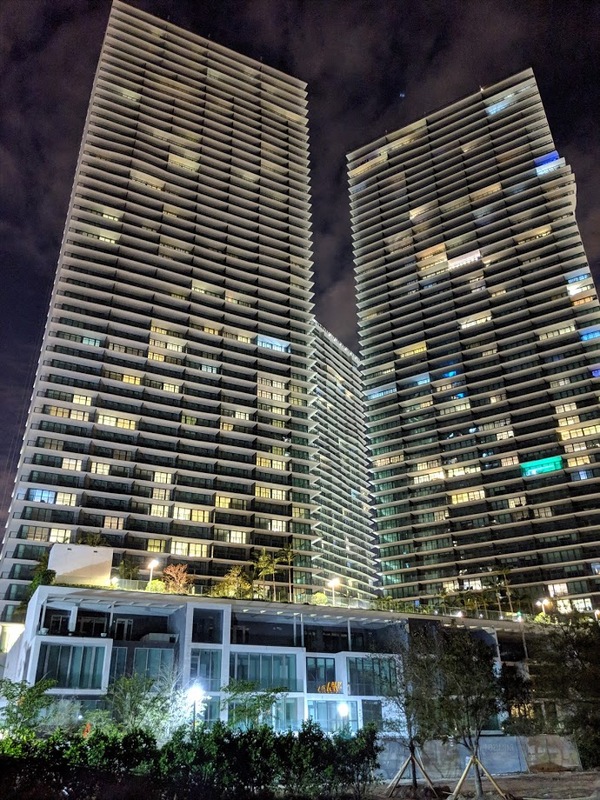 I’m waiting to see the success of Ultra in Virginia Key. As was said with the current mayor and that hapa commissioner. The more things change, the more they stay the same. What a great new neighborhood with a park on the Bay. That is what Edgewater needs. Will it be open at night or locked by a fence? Where’s the dog park going to be? Hands down, one of the worst projects in recent memory. Amara is currently squatting on the Public Baywalk and they give dirty looks to anyone that walks by. They need to finish this fast and open up the entire Baywalk. 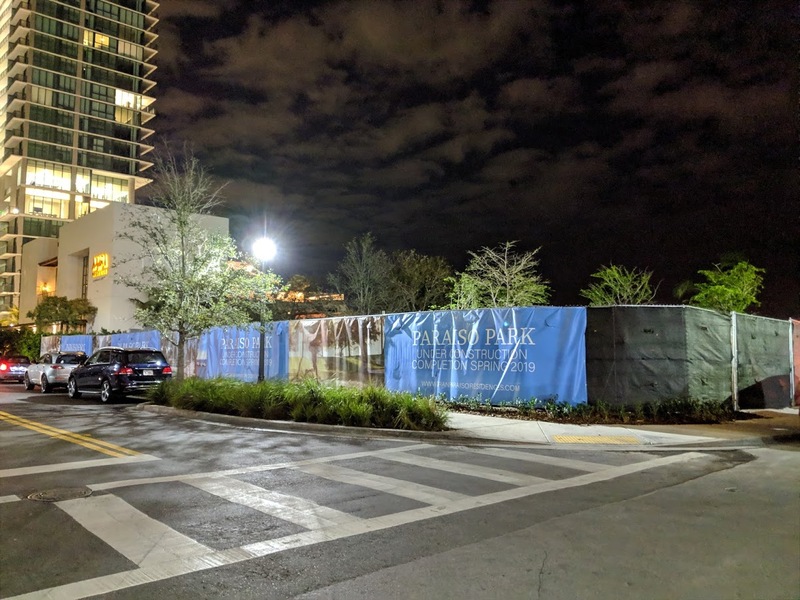 Meanwhile the most important Baywalk connection Pace Park to Museum Park for which land is there and no obstructions, is nowhere in sight. They need to connect these 2 parks on an emergency basis. The rest can wait. They have completely taken it over with their furniture! The public can’t get in there at all. Hope the city is charging them rent. Any rent prices for those townhouses? What’s so beautiful about it? It’s a tiny piece of the overall site with a few scattered plants and trees. It should have been much larger with a great design. It’s just an afterthought. Alot of lights on in those two buildings, glad people actually moved in. The units are empty. Agents leave the lights on for that effect. I live here, most of the units are fully occupied. Not that it matters if you are convinced that they aren’t. Do you work for related too? Will they add more towers to this project? We need more tax revenue from residents like this, and better local government accountability. They are able to add a fifth tower. 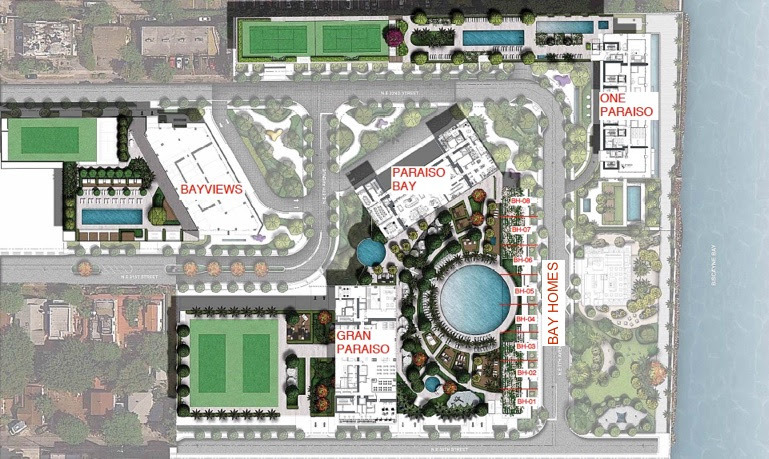 How can Baywalk be extended north to 35th Street (to include the Hamilton and the Charter Club? Who at the city can I talk to ? Is Related ever going to make this into a gated community? Man some people who come on this site can ask some stupidass questions….